Can I use H&R Block’s 2017 income tax software to do my 2016 taxes? Unfortunately, H&R Block’s 2017 tax software can only be used to complete your 2017 return. That’s because there are many tax-related changes that occur from one year to the next; changes to things like tax brackets, threshold levels, as well as refundable and non-refundable amounts. Given these changes, if you were to use tax software that was developed for a previous tax year, your return would be inaccurate and you might not get everything you’re entitled to. Is the 2016 tax software still available? Yes - our 2016 tax software is still available if you need it. You can access it here. If you need to file a return for the 2015 (or earlier) tax year, we recommend that you visit one of our 1,200 locations across the country. 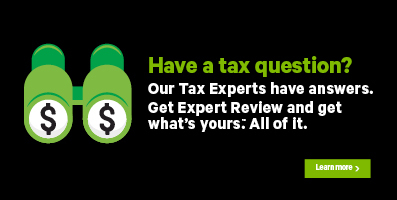 One of our tax experts will be happy to help!